Use Code FREESHIP for Free Shipping on WODies!! Check out this review showing all of the awesome benefits of working out with WODies! WODies Grips were developed for functional fitness athletes by functional fitness athletes because hand health is the most important determining factor in a successful effective WOD, and traditional athletic Gloves cause hands to sweat, and don’t protect hands and wrists properly. 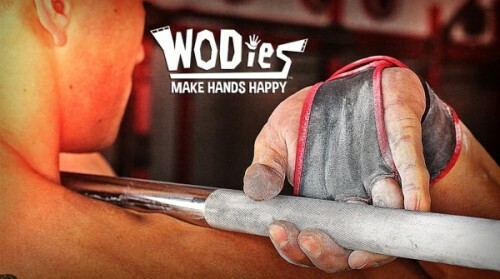 WODies are perfectly designed to protect hands and wrists from the damaging nature of high intensity WOD’s. 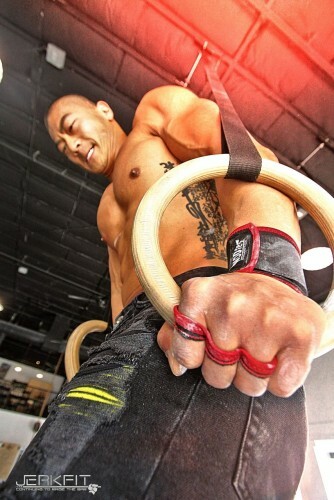 WODies Grips can be worn through every movement of a WOD, and can be quickly removed between sets. The super tough elastic palm pads protect hands from the damage of bar work, Pull-Ups, Weights and Kettle-bells. WODies hand pads are designed to be used with chalk or without depending on the level of grip you need. WODies are ideal for shielding torn up hands from unsanitary rings, bars, and weights. WODies hand pads are hypo-allergenic, non-latex, machine washable and come in several colors. WODies wrist support wraps are made from sturdy elastic. The extra wide design covers the whole wrist, ideal for Kettle-bells, dead lifts and any other wrist torquing movements. 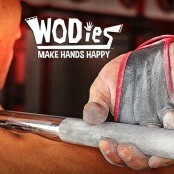 If you are tired of missing WOD’s waiting for hands to heal, get a pair of WODies today, and make your hands happy! 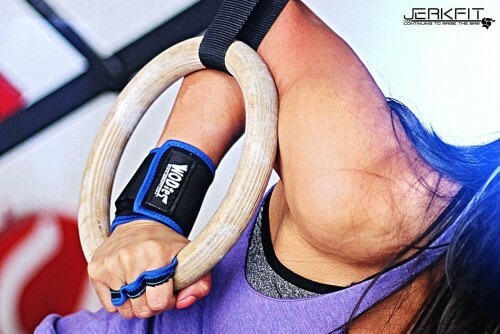 WODies Grips by Jerkfit have taken the Functional Fitness community by storm over the last couple of years, in fact it’s hard to go to a gym or box lately and not see someone with a pair. WODies combine the natural feel of gymnastics grip, with customizable sizing (you cut the finger holes) and awesome wrist support. 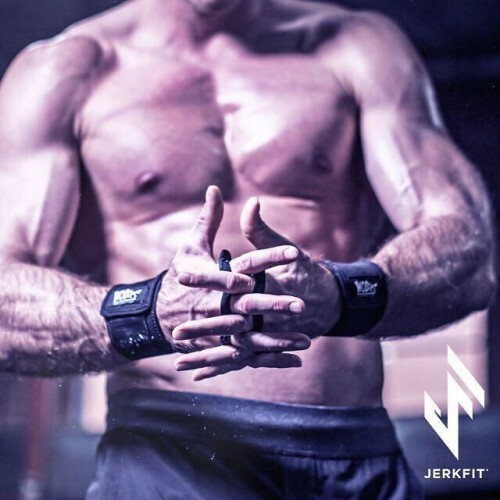 Blisters and tears are the bane of an intense CrossFit WOD, and traditional gym gloves and weight lifting gloves are too thick and bulky for the average athletes, Jerkfit has developed a highly functional solution with WODies. We interviewed Jeff Hunter from WODies this week, he shared some great insight about hand protection and the incredible tight knit Functional Fitness Community. 1)How did WODies come into existence, what was the inspiration behind the design? 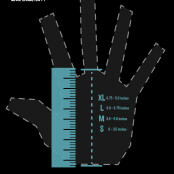 We’re avid athletes but one major issue to our growth and development were hand and wrist injuries. With kipping pull-ups, chest to bars, toes to bars, and snatches programed on the regular, it was difficult to keep the calluses from tearing open and bleeding all over the equipment! This lead to painful sores which prevented us from coming back to the gym for a few days until they healed, which affected our momentum, motivation, and eventually cost us money when you take into account the expensive box memberships. We were never really a fan of old fashioned gym gloves as we found them to be too thick and compromised the feel of the bar, and the leather straps tended to pinch and hurt. We never set out invent the next great glove, we just made something that worked for what we were looking for and could not find. We wanted a durable, elastic material that had a natural glide on the bar to prevent bunching. 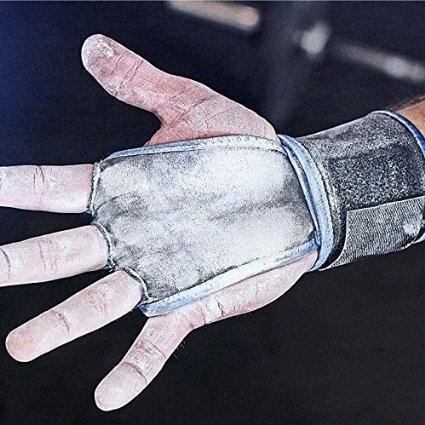 We wanted palm protection combined with wrist support so there would be no more doubling up on the wrist during Olympic lifts and we could go from movement to movement without ever needing to remove the gloves. We wanted them to have a minimal look and feel but provide maximum protection without ever becoming a hindrance to our workout. We one day started experimenting with different prototypes and materials on our sewing machine until one day it all just clicked. The first day we used them, we had about 10 people at our box begging us to make them a pair! At that moment JerkFit was born and WODies were our first hit! 2)WODies have become very popular, very fast, how has the tight knit Functional Fitness community helped get the word out about WODies? There’s no question we owe our success to the community and their incredible ability to spread the word about the products they use and love. One of the major draws to functional fitness is the sense of community you feel with your fellow box mates. Unlike a typical gym where everyone does their own thing and for the most part keeps to themselves, functional fitness athletes tend to become fast friends! When you have interests in common with others, you tend to talk a lot about those interests. 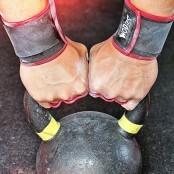 Those discussions lean towards the latest difficult WOD or the hottest new accessories. 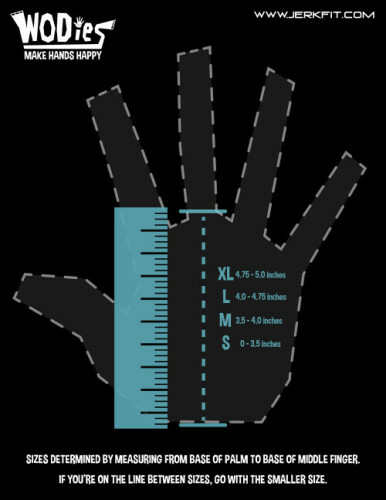 This has bode very well for our products in particular as every athlete knows how painful hand and wrist injuries can be and many are always on the lookout for something that will help them. WODies have helped so many and most of them are not afraid to spread the word. Word of mouth has been our best marketing. 3)There has been a lot written lately about injuries in Functional Fitness competitions, what are some things athletes and gyms can do to make the box as safer place? From personal experience, injuries can be detrimental to growth, development and momentum. Many would argue, “no pain no gain.” While that mindset is true for the most part, there are many injuries that are preventable and totally avoidable, hand and wrist injuries in particular. There’s no medal for using no protection. You don’t get extra credit for ripping your hands to shreds. Not to mention it is completely unsanitary to have bloody open sores all over the equipment. We need to accept the fact that injuries like these are really just a nuisance, totally unsanitary and completely avoidable. Box owners, coaches and athletes alike should encourage safety, the prevention of injuries and the spread of disease. This will keep our boxes full and our bodies healthy! 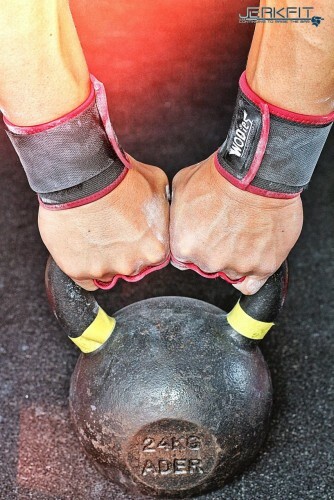 4)Other than a pair of WODies and Nubs, what is the most important accessory for a successful WOD? The most important accessory for a successful WOD is a strong and confident mind. WODding is HARD and can be physically and mentally tough. There are many days where the WOD is almost too daunting to endure. Those are the days where you feel like you want to quit. But its those days where a strong mind will push you through those painfully physical WODs and take you to the finish line. That’s when you’ll start to see the real changes in your body. Of course a decent pair of shoes helps, too! 5)Do you have any new products or exciting innovations to WODies in development? We are always looking for ways to not only improve our existing products, but to develop new ones as well. We have a few ideas we are playing with in development as well as some great looking variations of the WODies and Nubs. Stay tuned! 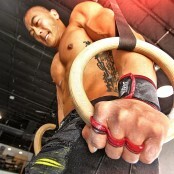 I was really tearing my hands up during CrossFit WOD’s especially during toes to Pull Ups and ring work. A good friend loaned me her WODies, and I order a pair. I can’t say enough about how well they protect those trouble spots on my hands that would commonly blister and tear. I would highly recommend WODies to anyone who love CrossFit, but hates torn up hands. Thanks to JerkFit for making such a great product! !